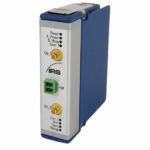 A standard Fault Simulation Box (6HU) enables to simulate short circuits up to 30A between signals. Alternatively, measuring systems e.g IRS current measurement module or additional loads can be switched into the signal path. 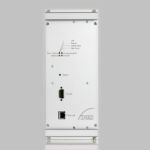 Furthermore, we offer a High Power Fault Simulation Box (3HU), which is designed for 80A and 8 channels. 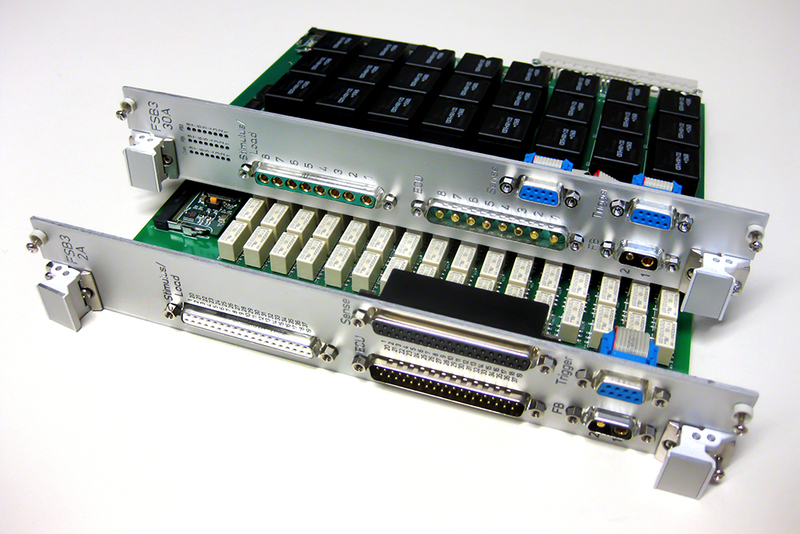 Standard Fault Simulation Box mainframe can hold up to 10 FSB cards. This box is controlled via a galvanically isolated RS232 interface. A CAN and Ethernet interface will be provided in the future. The cards have two so called fault busses which are designed for up to 80A and are connected via a backplane in the mainframe. In case a mainframe is not enough, several mainframes can be hooked up. Signals can be shorted over the fault bus or when the open relay is opened a measuring system can be switched into the signal path. 16 pattern can be saved on the cards which enable one order to put all cards into a certain state, e.g. to open all open relays. If a relay is triggered, 25ms pulse for each relay type (open, fb1, fb2) is outputted via 3 isolated open-collector outputs.